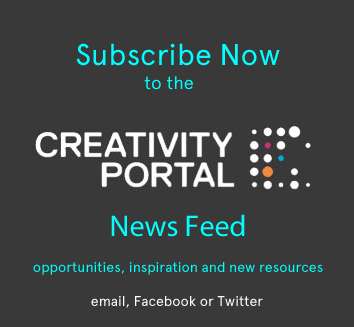 Subscribing to the Creativity News Feed allows you to receive up to the minute news from up to 100 quality assured Creative Partners. These include free and subsidized CPD, workshops, projects, resources and competitions as well as the latest creativity news from Education Scotland. You can subscribe by Email, Facebook, Twitter or RSS feed meaning it can be easily skimmed for opportunities and inspiration that interests you as part of your normal routine. If you have a specialism and would rather not receive the full Creativity Portal News Feed you may prefer to receive one of our 21 filtered down versions that offer only the news and opportunities related to a specific sector, subject or cross-cutting theme such as Developing the Young Workforce, Additional Support Needs and Health and Wellbeing.